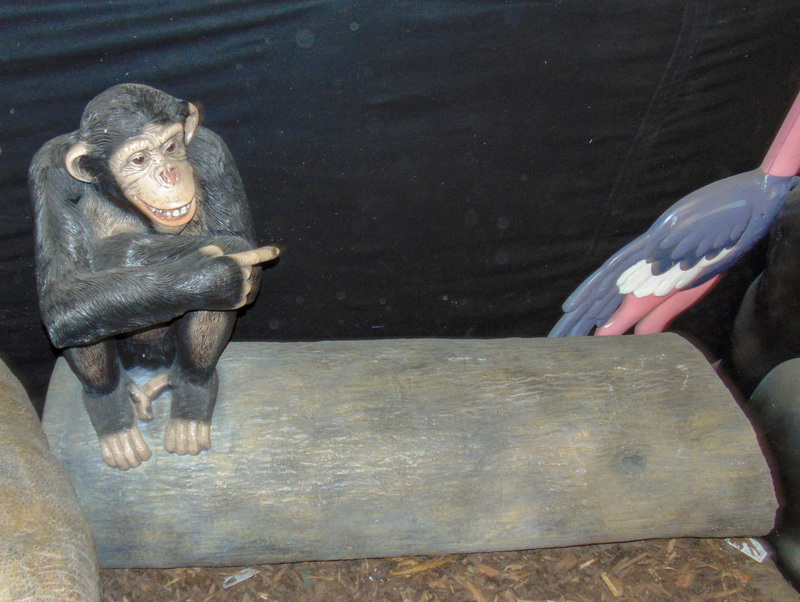 This cheeky chimp will look stunning sitting in a Rain Forest or Jungle themed area. This model is designed so you can sit next to him and have your photo taken with him. This model would add to any display adding fun and laughter and interaction with your scene. 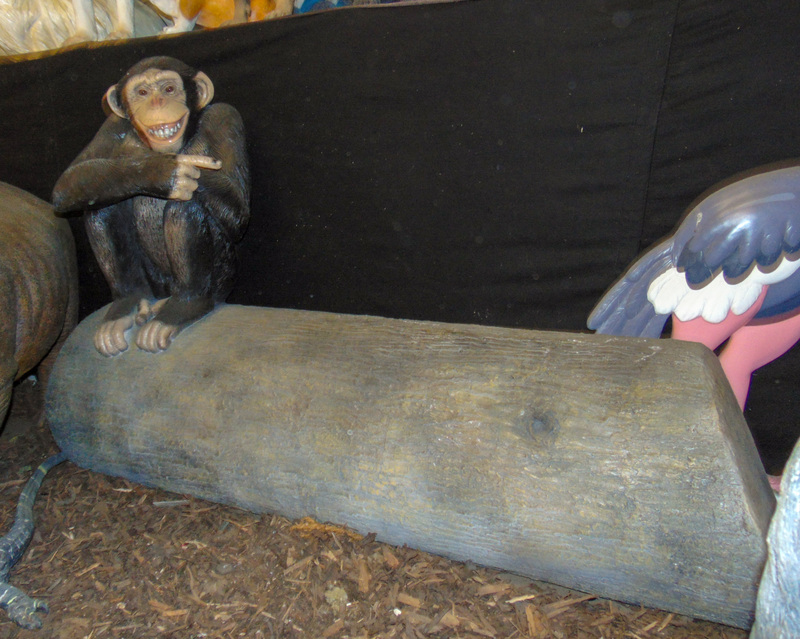 Our realistic cheeky chimp model will look amazing sitting indoors or outside and will be fantastic to promote enviromental concerns and raise awareness of deforestation. This resin replica monkey statue can be used in any Rain Forest, Jungle or Safari themed areas in adventure golf courses, zoos, theme-parks or to promote shops, businesses, pubs, restaurants, coffee shops. 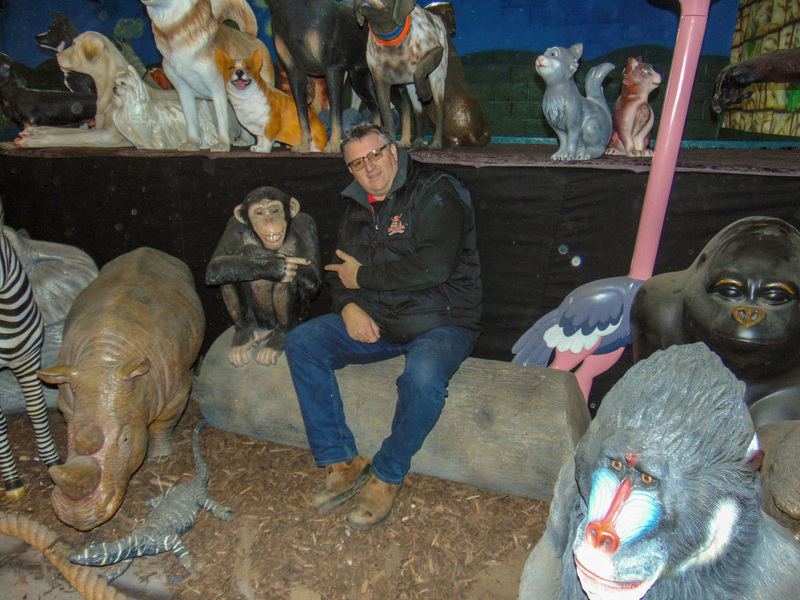 It would even look fabulous in your own garden.